Albert Whitman & Company, 9780807576632, 32pp. "Sal desperately wants to make a quilt, but her big hands just don't seem to have the knack of doing such small, fussy work. 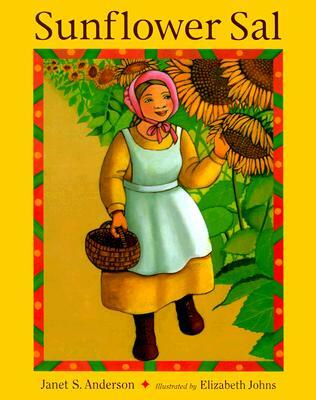 What she is good at is raising sunflowers. . . . A late-summer climb to the top of Bare Hill reveals that the neat squares of fields and pasture below have been 'stitched together with sunflowers--Sal has made her quilt. It's a lovely story from Anderson about finding one's true gifts, with sun-washed oil paintings in a palette of gold, brown, and green" ("Kirkus Review").